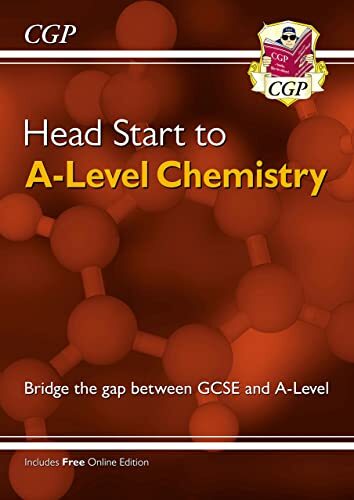 This fantastic Head Start book from CGP is the ideal way to bridge the gap between GCSE and A-Level Chemistry. It recaps all the crucial topics you'll need to remember from GCSE, with crystal-clear study notes and examples, plus practice questions to test your understanding. We've also included introductions to some of the key topics you'll meet at A-Level. It's the perfect way to hit the ground running at the start of the course, whichever exam board you're studying!